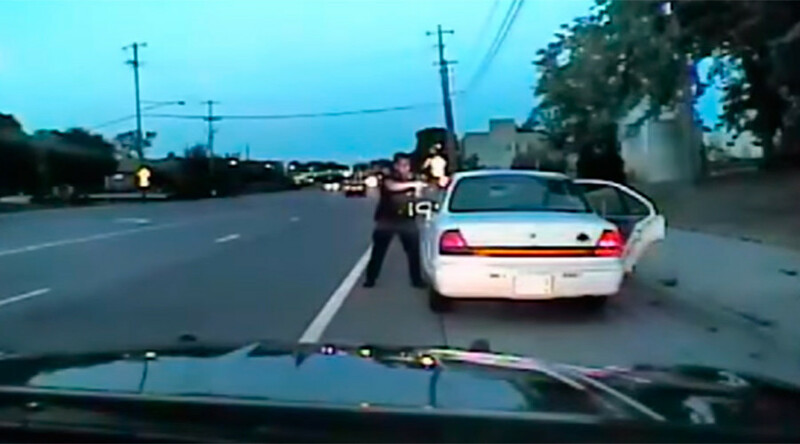 I want to begin by stating the obvious, that there are legitimate feelings of anger and frustration that many of us are feeling after watching the dash cam video of Philando Castile being killed in cold blood. It is chilling beyond description because many of us who are law-abiding citizens and concealed weapons permit holders realize that could be us in Castile’s position–shot dead while attempting to comply with an officer’s demands. These occurrences have always happened, mind you, but reckless or murderous officers were never held to account because juries rarely believed the word of a citizen over a sworn police officer claiming fear for officer safety. The anecdotal evidence shows that such is even more true when said ordinary citizen is a person of color. The game changers, though, were supposed to be dash-cam and lapel videos, but we are seeing more and more where juries still prefer to believe a sworn officer even over their own eyes. You see, many of the “how dare you call me a racist” types do not really know Ol’ Hobbs on a personal level, nor do they know their favorite black athletes, entertainers or President Obama. As such, liking me or other Brothers does not prevent these ones from drawing conclusions about witness credibility when a person of color has been killed or alleges that a police officer has brutalized them. Just like the ardent racist who despises and fears people of color, the unaware racist gets into an elevator at the same time that I do and no matter how very well I am dressed, no matter how nice the leather on my Tumi briefcase is, no matter the fact that the keys in my hand are of a Benz, they see a tall, extremely large black man who is a threat. The fear is in their eyes, or in the rapid fire idle chatter they engage in to gauge whether their initial fears are well founded. Indeed, the unaware racist is skeptical when a lawyer like me says that over the past few years, I have had officers who showed unimaginably gross disrespect to me in official court proceedings. One police officer in Ocala, Florida audibly told a prosecutor in the hallway that he did not have to answer that “arrogant mother fuckers questions” during a deposition; when we resumed and he still would not answer, I calmly told him we could do it the easy way, or I could have him held in contempt and he could answer my questions from his county jail cell or in front of the judge.” Then, of course, he answered despite staring at me like he wanted to try his luck and take a swing at my head, but my point is that if officers are so brazenly nasty towards a black officer of the court, it is obvious how nasty officers of this ilk are to John and Jane Citizen while out on patrol. But because of that skepticism, a twisted belief that the officer is usually if not always right, the unaware racist is a liability in a jury deliberation room. You see, the unaware racist comes to the courthouse already endowed with a sub-conscious fear of people of color. This fear leads the unaware racist to assume that the person of color who is a defendant or a victim of police brutality MUST have done something to be on trial or on am autopsy slab. This makes the job that much harder for the plaintiff’s lawyer or prosecutor presenting the case and as to the latter, when Mr. or Ms. Prosecutor is an unaware racist, too, such leads to cases that are poorly tried, cases where evidence does not get admitted, witnesses do not get adequately prepared, and arguments that are weak and lacking zeal. Such is why the end of police brutality starts on the local level. To keep it 100, the Obama administration did not bring meaningful civil rights violation charges against any of the defendants in any of the high-profile cases of the last eight years. Not for Trayvon, not for Jordan, not for Tamir, not for Eric Garner–not for any brother or sister or child killed by the police or some vigilante. Oh, and miss me with the “federal standards are tougher” excuse because while they are, difficult has never meant impossible. I love Brother Obama but I would be weak if I did not note how weak his administration was on these cases. So If Obama and Attorneys General Eric Holder and Loretta Lynch did not ensure that charges were brought in excessive force cases, you already know that Donald Trump and old Jefferson Beauregard Sessions are not going to try anyone for any suspicious shooting case. But the pressure needs to be applied on the local level and not the Feds, per se. What can you do to help? Start by pressuring your mayor and city council members to stay on top of their police chief as far as hirings and firings of reckless officers are concerned. Stay on top of your duly elected sheriff to ensure that his or her deputies are properly disciplined when they use excessive force. Stay on top of your elected district and state attorney to bring charges directly as opposed to using the grand jury to manipulate the truth while allowing bad cops to go uncharged while remaining on the force. These are THE only legal methods for long-term change. By all means, organize and make it happen in your community!!! !